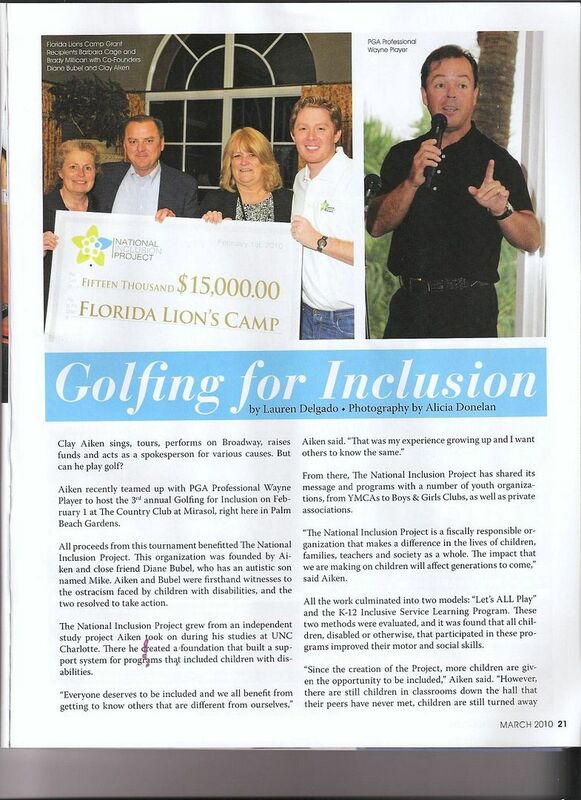 A wonderful article about Golfing For Inclusion was just published in the Palm Beach Gardens Lifestyle Magazine. The event, a fundraiser for the National Inclusion Project, raised over $150,000. It is wonderful to see this three page spread about the event and it features a wonderful picture of Clay Aiken. Remember, if you click on the picture, the image will be bigger. Love that picture of Clay. It is nice to see the follow up of this great event. Very nice article on the National Inclusion Project and Clay's involvement with the services to children. 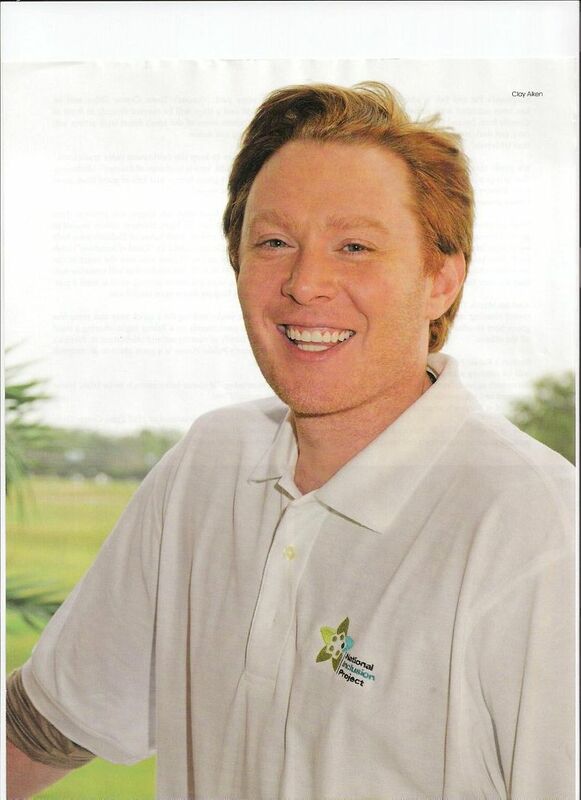 Very nice article about National Inclusion Project and great pictures of Clay Aiken. Great article and love the pictures, especially the ones with Clay Aiken in them. What a great article about the National Inclusion Project… I just love seeing all the positive press… Clay Aiken is in his element giving back to those less fortunate… It's what he does and these are real things that Clay does all the time…. Love the picture as well….. Thanks CANN for bringing this over for us…. Great pics! I'm proud that GFI for the NIP is going to be an ongoing event for Clay Aiken. 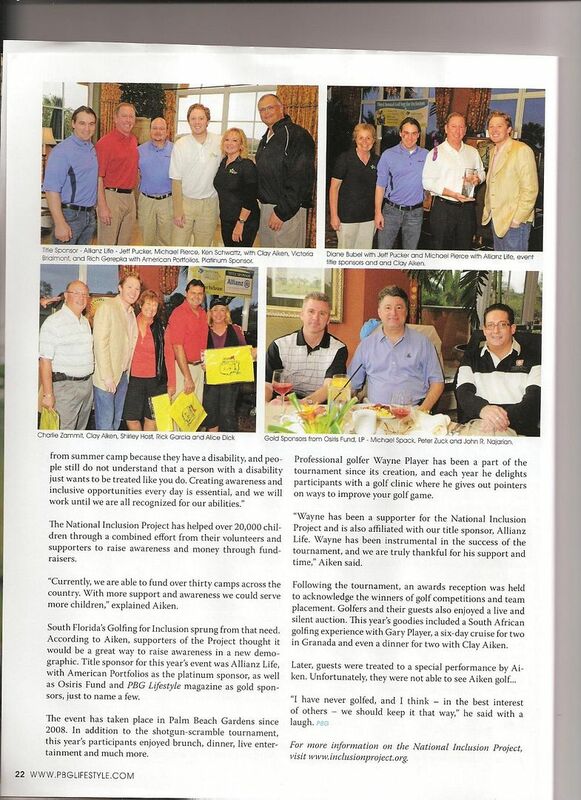 Great write up for Clay Aiken and NIP. Thanks for posting it. Glad the NIP is receiving support from golfers. It is such a worthwhile charity. Good for Clay Aiken!! Enjoyed the article and pictures. The project is getting more and more support since Clay Aiken and Diane Bubel founded it. I loved the article. Clay is so funny saying everybody would be better off if he doesn't golf. I love the big picture of Clay. Natural Red Head Clay. He is just so adorable! Great article about NIP and Clay Aiken. Thanks for posting it. That is a great article! Clay looks so good! Thanks for sharing! Thanks for the great article about Clay and NIP. Thanks! So glad to see that the National Inclusion Project is getting publicity. Thanks for finding the article. Error: Error validating access token: Session has expired on Tuesday, 21-Aug-18 16:13:01 PDT. The current time is Wednesday, 24-Apr-19 21:07:52 PDT.